Our reputed entity is engaged in offering Marjoram Herb. We are chiefly engaged in the manufacturing and supplying Marjoram Herb all across the country. The Marjoram Herb is cold-sensitive perennial herb and undershrub with flavors of pine and citrus. Used for culinary purposes, the Marjoram Herb can be provided either dry or green. With the years of experience and vast knowledge, we are involved in dealing Marjoram Herb. We offer our clients with Marjoram Herb. Marjoram is a cold-sensitive perennial herb or undershrub with sweet pine and citrus flavors. Marjoram is cultivated for its aromatic leaves, either green or dry, for culinary purposes; the tops are cut as the plants begin to flower and are dried slowly in the shade. 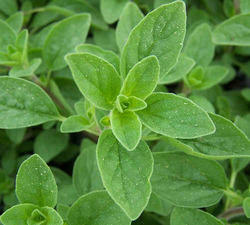 We are reckoned amongst the clients for offering a tested array of Marjoram Herb. The Marjoram Herb we offer is widely used as an herbal remedy for treatment of disorders of the gastrointestinal tract and infections. These products are also used while preparing soups, sauces and various others. This delightful herb is native to the Mediterranean. With its minty-sweet flavor, this ground is akin to the herb oregano. 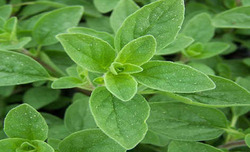 However, it is milder in flavour than oregano and has a slightly bitter and aromatic undertone. The Greeks valued marjoram as a stimulant and all-around cure for such ills as asthma, indigestion, rheumatism and toothache.